Since safety and security are of the primary concern, thorough research about the place you wish to inhabit in becomes the most vital aspect. Some people tend to pay less to afford a house at a relatively unsafe place, and then start expending safeguarding themselves. This habit must be made away with. 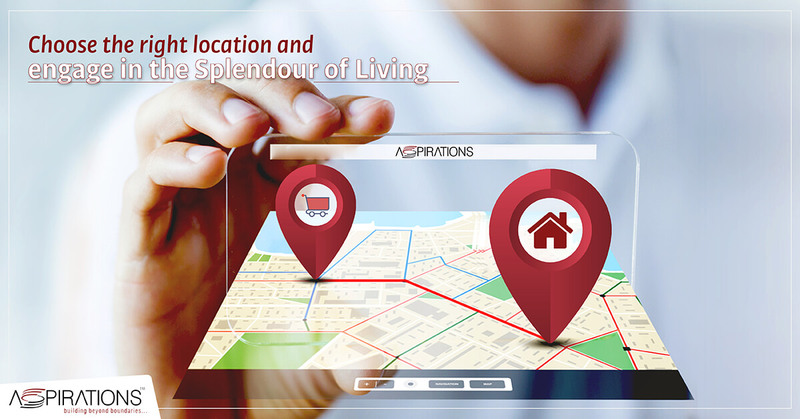 Aspirations residential complexes in Kolkata are located at the city’s prime hubs where being safe is the only criteria. Choosing the right neighbourhood is also a fundamental point that must go in tandem with your lifestyle. Once you are aware of your necessities, choosing the right location becomes easier. As Kolkata is now a part of transnational informatics, choosing a home near to your office stands solely essential. Aspirations new flats for sale in Rajarhat are located amidst the busiest IT centers well connected by thoroughfares. Buying a home means giving your child a place to nourish his or her dreams to grow up where knowledge is an inherent necessity. Aspirations flats for sale in South Kolkata are equipped with nearby top-notch schools providing the best education, revered colleges, and Your child can even grow up to become a bookworm amidst the National Library or the Ramkrishna Mission library. Probably beyond everything else, a well-connected home is the solution to every problem. A house must be easily connected to railways, metro services, airports, markets, and A home in North Kolkata is to remain within the vicinity of Sealdah station, metro station, circular rail and airport at Dum Dum; while being in the South is to stay surrounded by the busiest roads and easy access to the northern fringes of Kolkata. With Aspirations upcoming residential apartment in Kolkata, you the promised with best available services and warmth of reception. Home is all about exploring relationships and new limits. Make the rightest choice while choosing Aspirations upcoming residential apartment in Kolkata and engage in the splendour of living.